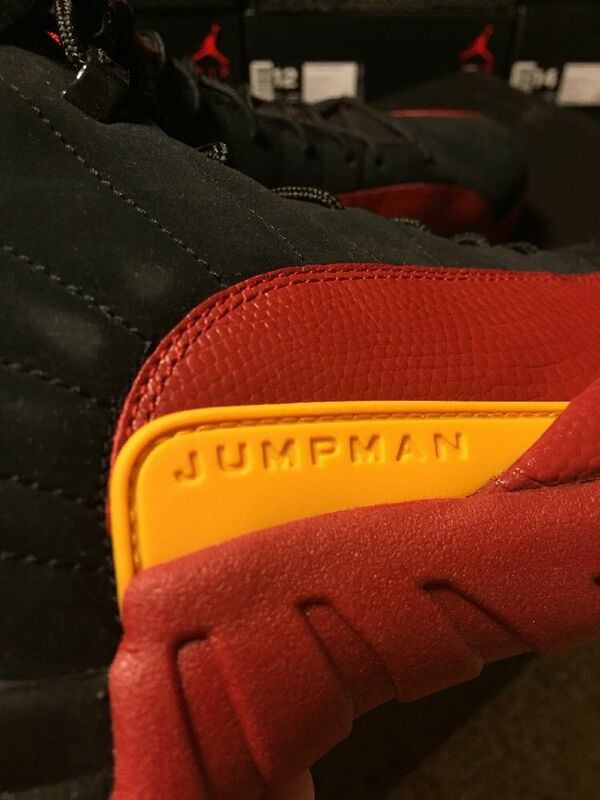 A throwback to his days as a member of Team Jordan. 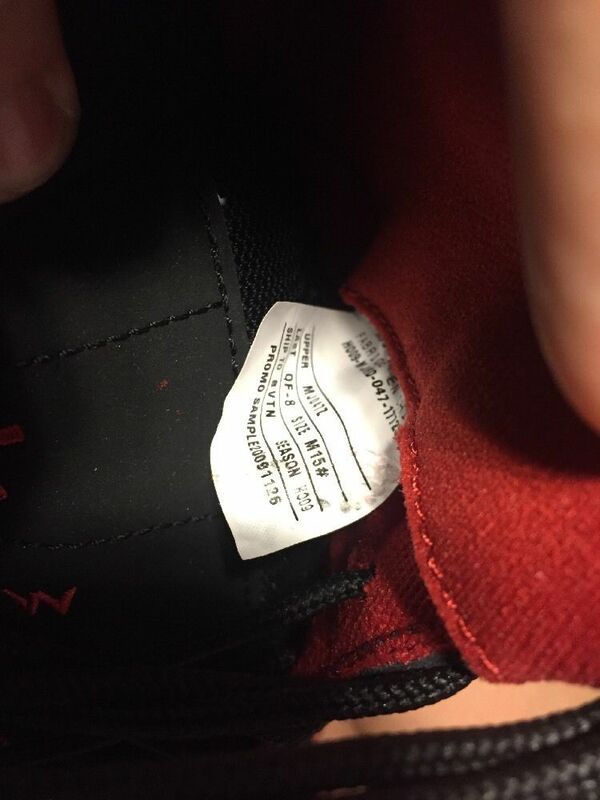 It's been almost 3 years since Dwyane Wade made the jump from Jordan Brand to Li-Ning. 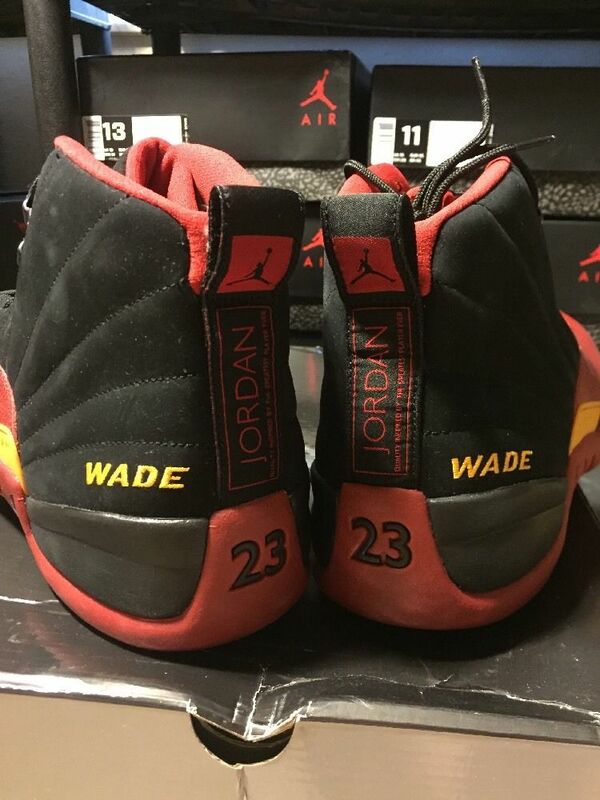 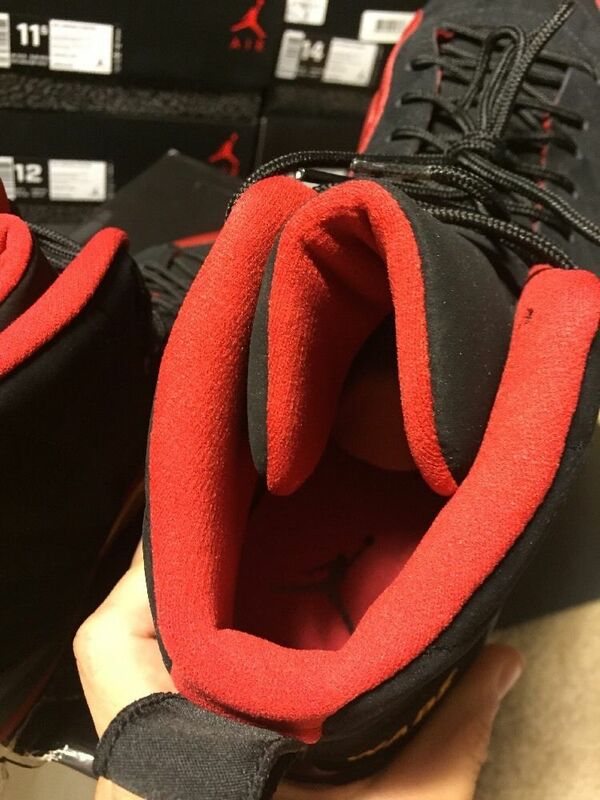 And though he's moved on, Wade's old Jordan Player Exclusives are still coveted by collectors. 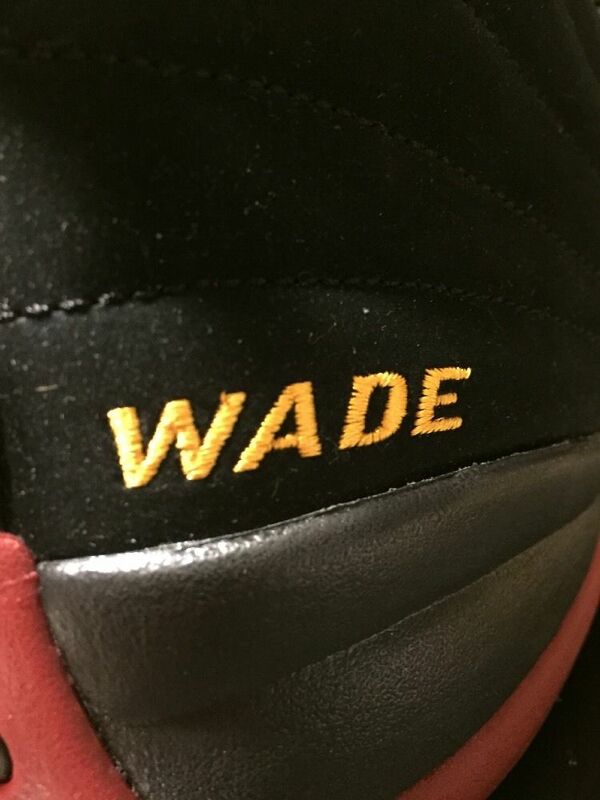 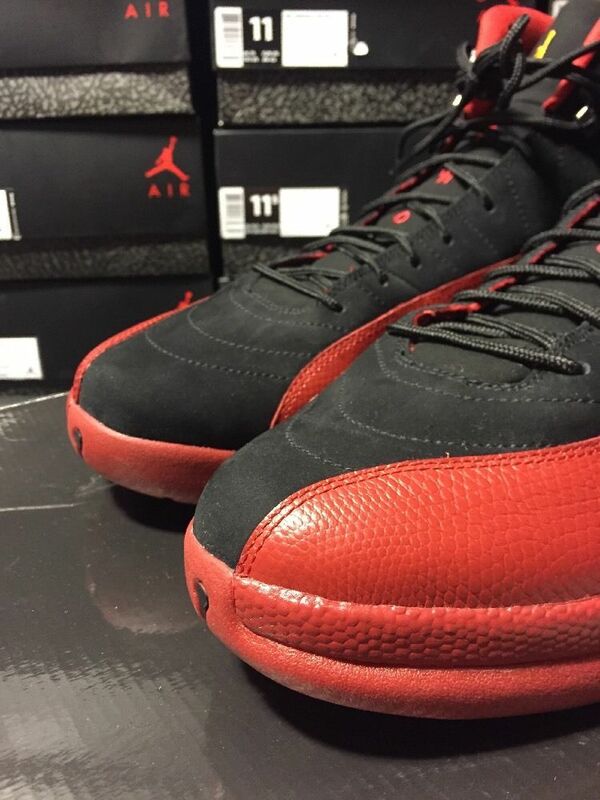 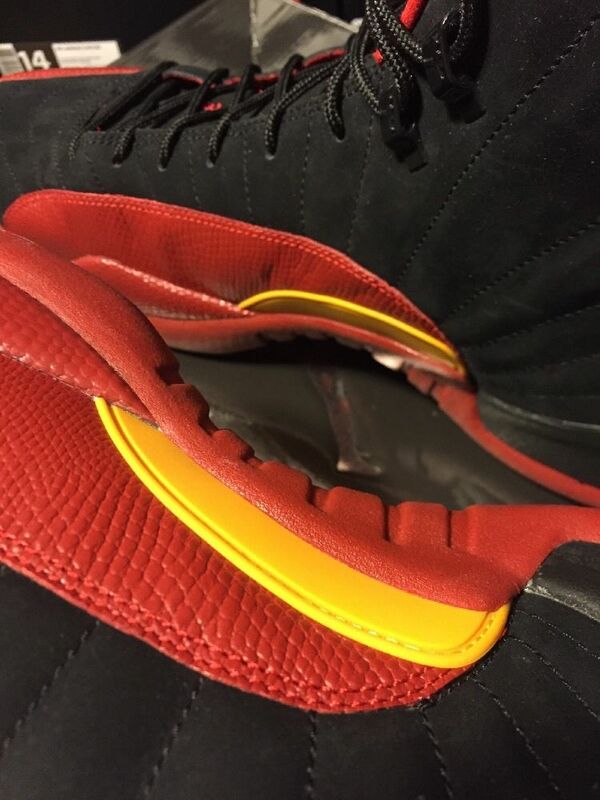 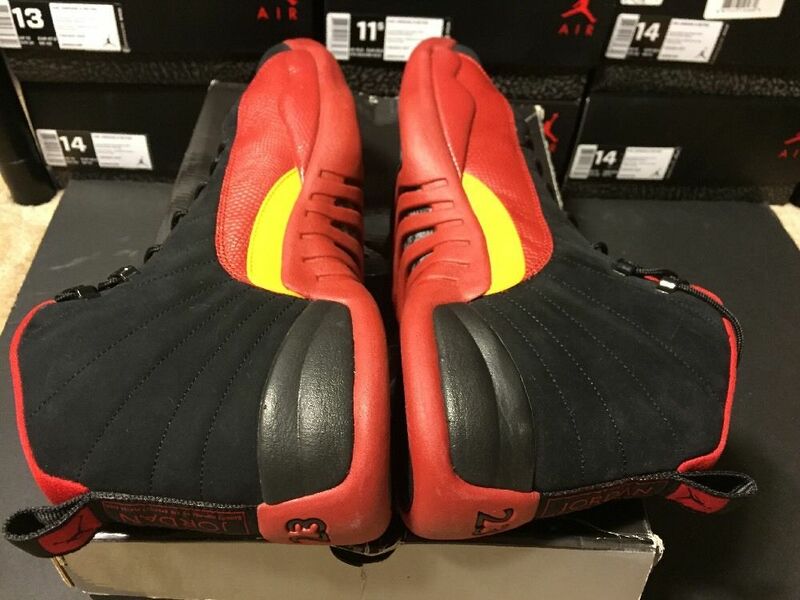 Wade's Miami Heat 'Away' Air Jordan 12 PE just hit the auction block again. 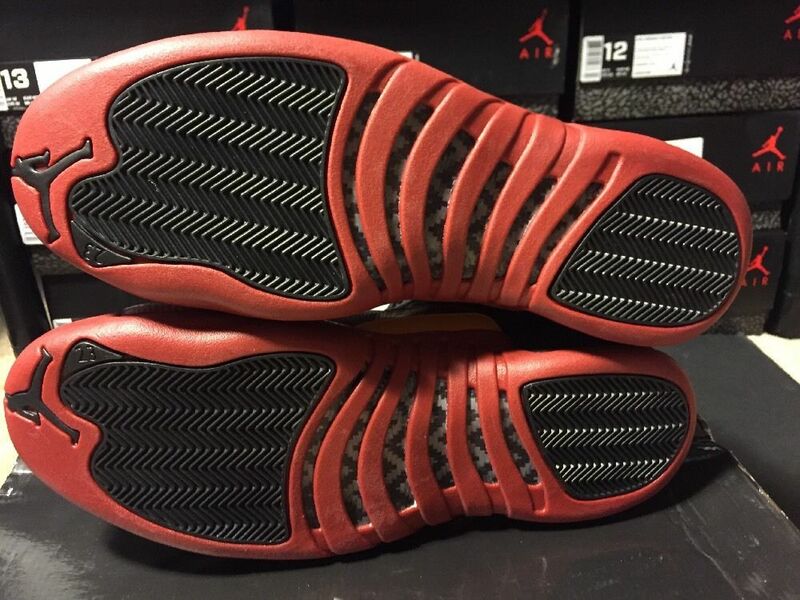 Yellow accents were added to the 'Flu Game' colorway, along with a red lining and 'Wade' embroidery on the heels. 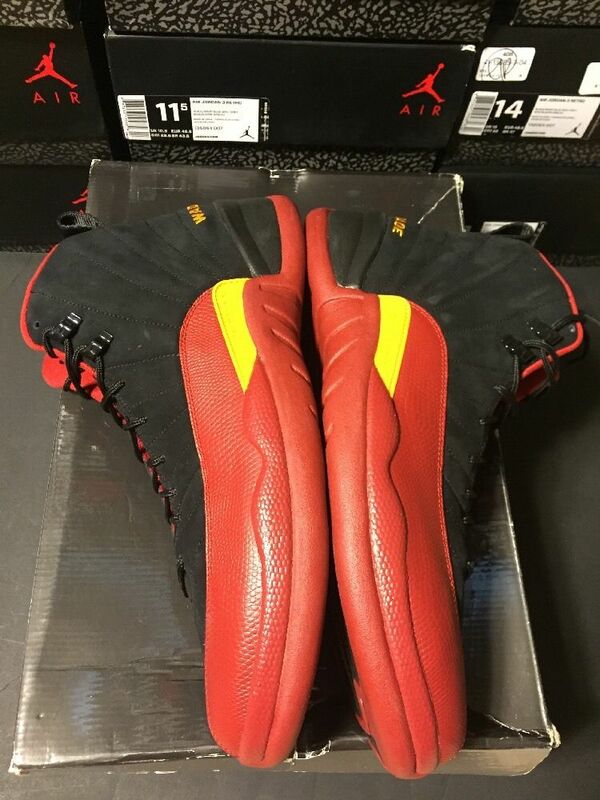 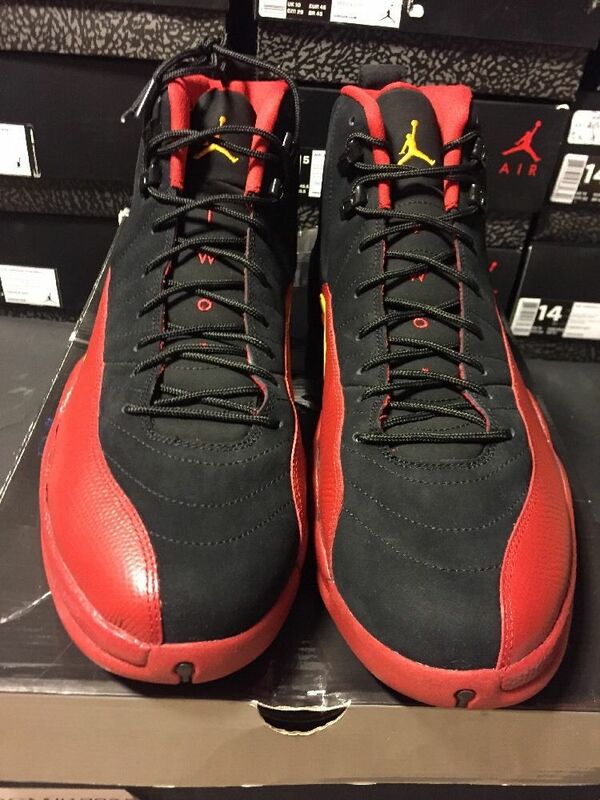 This size 15 can be had now for $5,000 or best offer on eBay.